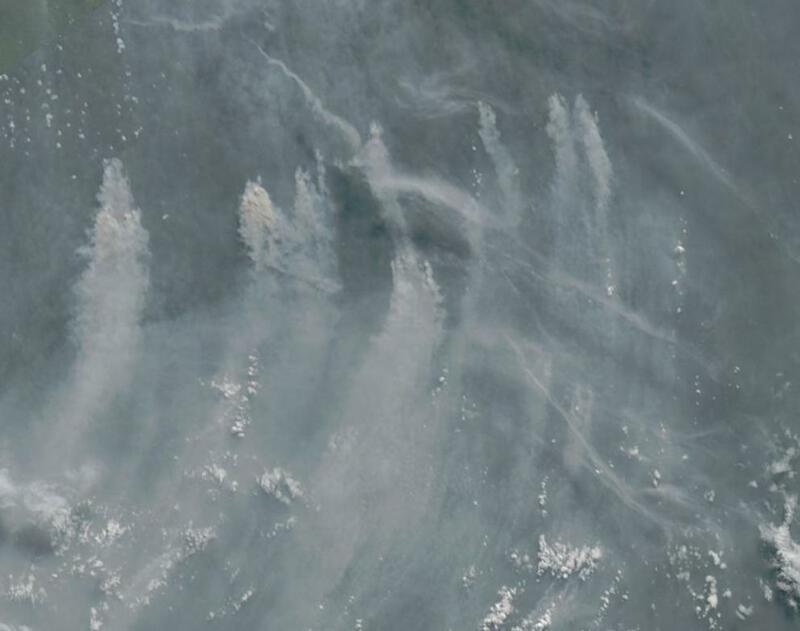 About a week and a half ago, I reported on a great burning event in which a massive region of Russian Siberia erupted in hundreds of wildfires blanketing it in a sea of smoke clearly visible in the NASA Aqua Satellite record. Today, reports from Interfax/Radio Russia describe an immense flood emergency in which over 1 million square kilometers of Russia’s Yakutia region have been submerged by a catastrophic rain event. “It is a unique situation in the sense that it has spread over more than 2,000 kilometers if one looks from west to east, while its depth or width is more than 500 kilometers,” Vladimir Stepanov, head of the National Crisis Management Center of the Emergency Ministry, told a news conference in Moscow. According to the report, hundreds of villages in this, thankfully, sparsely populated region have been inundated by water putting hundreds of thousands of people in amongst a swirling flood. According to reports from Russian government, the region is now the site of a massive and major rescue operation. As of August 11, the operation composed an army of 20,000 personnel — a force that is likely to have greatly swelled as this major climate disaster expanded through today. 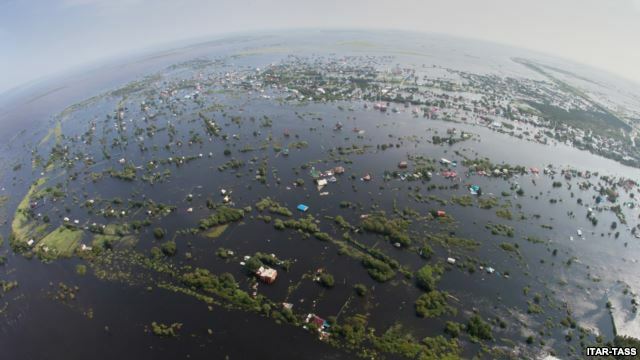 Floods turn Amur Region of Russia into a Sea on August 14. As of late July, heavy rainfall had emerged in a dense band along eastern Russia and bordering north China. This band of dense and heavy moisture rose north over an ocean heat dome that was setting off very dangerous high temperatures over the region of Southeast China even as it was baking a large region of ocean, heating a vast expanse of the surface waters to above 30 degrees Celsius. The added moisture and heat content provided fuel for low pressure systems skirting the high. By early August, major flooding had begun to occur in this eastern region as very heavy storms sprang up over this large area. In the above image, we are looking down on the Earth from a shot taken above the North Pole. The region we are looking at is Siberian Russia and Yakutia which dominates the central section of the image. Toward the lower left are the Laptev and East Siberian sections of the Arctic Ocean. Toward the central and upper left is Eastern Russia (Kamchatka), Mongolia, and extreme north China. In the upper right corner is central Asia. Note the very dense region of clouds and rain pulsing up from the Pacific Ocean and overlaying Kamchatka and southern Yakutia. The storm at this point is vast and its cloud coverage immense. But it is just getting started. By August 7, the storms had sagged toward the south, drifting slowly eastward along the monsoonal flow. Occasional pulses of moisture rose northward from the Pacific to refresh and intensify this storm and cloud flux. This action brought the Pacific and monsoonal storms in direct contact with a hungry low pressure system rising up out of Central Asia and moving from the southwest toward the northeast. By August 7 we can begin to see this storm system entraining the massive volume of moisture associated with the Pacific storm pulse and monsoonal flows. 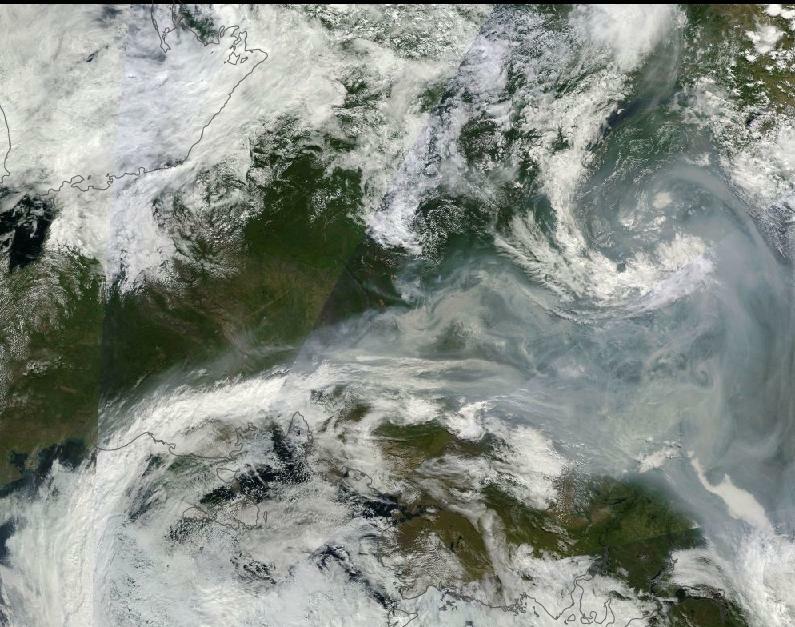 The storm was emerging over a region of Yakutia that had experienced a massive and terrifying explosion of very energetic wildfires. 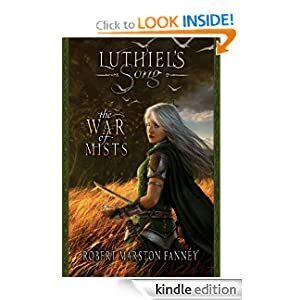 The air was heavily laden with particles of dense smoke from a great burning that had intensified since late July. There the moisture erupted into a powerful deluge that by August 11th had broken flood records set as far back as 1896. By that time, more than 20,000 personnel had been mobilized to help deal with the floods as hundreds of homes and scores of roadways were inundated. As of August 11, we see a massive and fully formed storm complex directly over Yakutia. The storm has now fully entrained the dense smoke cover belched out by the hundreds of fires, some of which were still burning throughout the region. It was also still drawing in moisture from the Pacific storms and monsoonal flow over south Russia, Mongolia and northern China. A second arm of the storm stretched northward linking the storm with the Arctic. With a strong south and north linkage, the storm had accessed energy to maintain strength and intensity for an extended period. The large storm system continued to churn through Yakutia and by today, August 14th, a massive region covering 1 million square kilometers was inundated by floodwater. What we see in the satellite shot for today are not one, not two, not three, but four rivers of moisture linking the major storm system that has inundated Yakutia. The first river of moisture is a continuation of the Pacific flow rising up along the southeast Russian coast, the second is the monsoonal flow moving from west to east to combine with this Pacific flow. A third flow feeds into the storm from Europe as it rides along parallel and to the north of the more southerly monsoonal flow. A final river of moisture rides up the from the storm, linking it to the Arctic and likely sharing energy and instability with that cold and dynamic region. With a second low developing to the west of the first and moving along in its shadow and with moisture continuing to feed into these storm systems from the monsoonal flow to the south, it appears that rainy conditions will persist for the already inundated Yakutia region over the next few days at least. And if this pattern continues as predicted, it may well come to rival the great Pakistani floods of 2010. 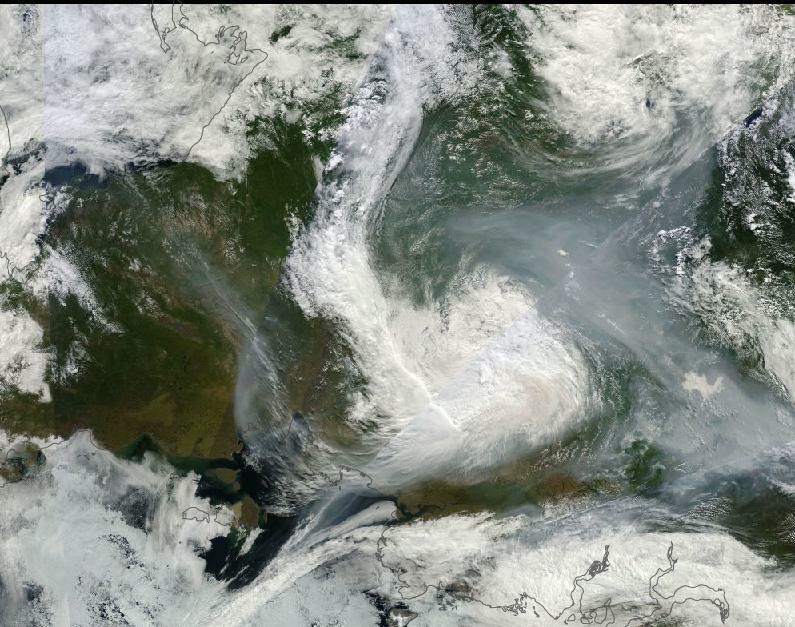 One, rather odd, feature of this major flood and fire event is that large areas of wildfires are shown to still be burning throughout Russia. 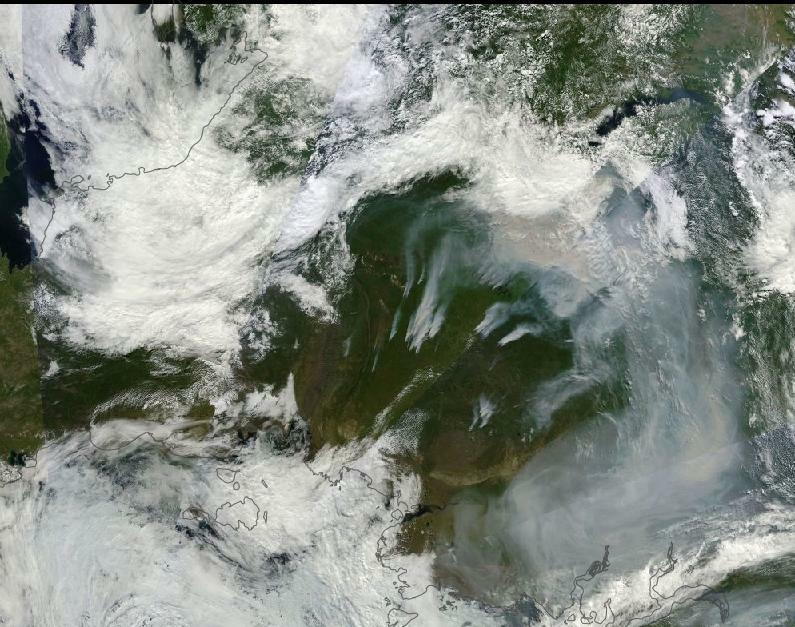 Though the onrushing deluge clearly put out some of the major fires burning in north and central Yakutia, still other major fire complexes continue to burn — some of which remain very near to flooded regions. Fires Burn in One Part of Russia as Another Part Floods. These fires are burning directly in the shadow of the second storm system with their smoke trails feeding into the storm along its southerly inflow. Earlier this year, drought and heatwaves blanketed Siberia and Yakutia. 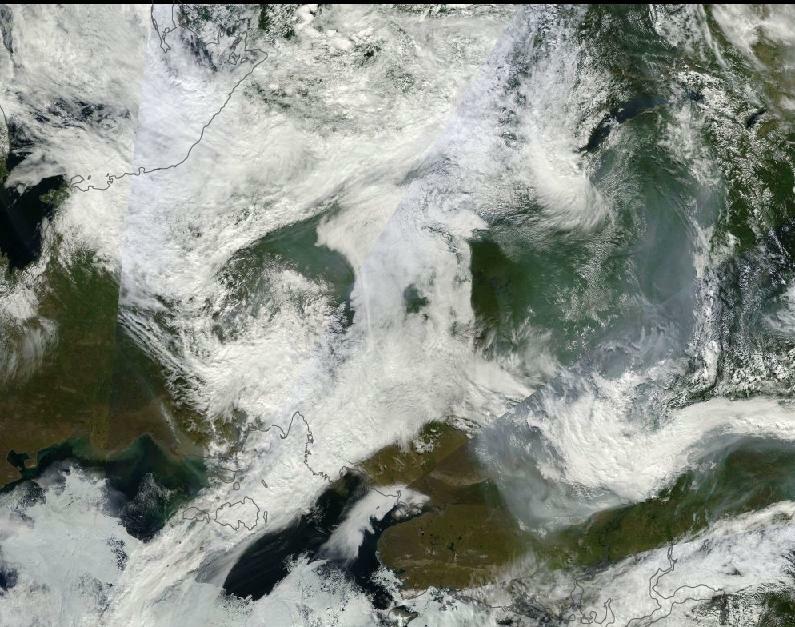 But late July, this region had begun to erupt in a series of extraordinary wildfires that blanketed almost all of northern and eastern Russia in very dense smoke. By early August what is perhaps the worst rainstorm in the history of this area of Russia had begun to form. As of the writing of this article, on August 14, major storms and flooding continued with no immediate end in sight. Such burn events are anomalous enough. But for a flood that covers a 1 million square kilometer area to immediately follow in the wake of such amazingly large and widespread fires is anything but normal. Atmospheric patterns that link major weather systems and increase their intensity can be attributed to the formation of powerful heat dome high pressure systems along with weakened and meandering Jet Stream waves. Rising atmospheric heat caused by human warming adds to the density and strength of heat domes (identified as becoming more intense by meteorologist Stu Ostro). Meanwhile erosion of the Jet Stream caused by reduced snow and sea ice cover (identified by Dr. Jennifer Francis) is implicated in a host of problems including more intense and persistent droughts and storm events along with the increased likelihood that weather systems will link up as north to south weather patterns deepen, back up, slow down, and elongate. A massive ocean heat dome to the south over the Pacific adjacent to China and sea ice and snow cover remaining near record lows must be taken into account when looking at features that likely contributed to the extreme swings from drought, heatwave and fire to massive deluge and flood in Russia. One last point to consider as a likely contributor is the fact that for each degree (Celsius) of human-caused temperature change, the hydrological cycle amplifies by about 8 percent. This means that rates of evaporation and rainfall are now about 6 percent more intense than they would be in the world of the 1880s. When combined with powerful new weather features like a mangled Jet Stream and immense heat dome high pressure systems, an amped up hydrological cycle further inflates an already extreme environmental condition. Reports from the Russian government indicate the region hardest hit stretches from lake Baikal to the Pacific Ocean with some towns in far eastern Russia along the Amur River under as much as 20 feet (6 meters) of water. Reports as recent as yesterday indicated that a total of 113 towns were experiencing major flooding and that an additional 100,000 residents may need to be evacuated. As of today monsoonal flows and a large moisture pulse rising off of the Pacific Ocean along the back side of a powerful heat dome high pressure system continue to dump copious rains over the region. Russian officials have stated that this event represents the largest flood in Russia’s history. Lake Baikal is on the left border of the image, the Pacific Ocean on the far right. Mangled Jet Stream to Collide with Tropical System over Southeastern US for Major Rain Event? It seems fitting that the Siberian story of relentless heat and wildfire would eventually be brought to a halt by an extreme weather event like this massive wide ranging downpour. Again extremes of weather seem to be a new normal. I have noted especially the last decade how rain events seem to now have grown in intensity. Rain events that almost always have been associated with tropical events like a Hurricanes, have begun to appear in the higher latitudes and in areas with little association with nearby seas, let alone tropical seas. Right where I live, in a northern boreal forest, we had a 24 hour rain event of between 12 and 22 inches of rain. This type of rain is usually the fallout from a tropical storm making landfall. Now it appears in the cold northern forests as far from tropical seas as one can get. This Siberian rain event seems the same as we had here a year ago. Only the Siberian was more vast in size. Makes you wonder what the now heating up Atlantic weather patterns have in store for the formation of hurricanes. From what I read, the Atlantic is loading it’s guns and should be opening fire in the next few weeks. The tension mounts! Are you in Canada? 12-22 inches is extraordinary anywhere, much less in a northern boreal forest. It appears that in 2014 the flash flood occurrence is 10 times larger than recently, so this year may be that we see them beginning to be perhaps 3 time larger than, say, in 1970’s. President Barack Obama will take cue about these events and his advisors believe that the next summer the general public in the USA will be presuaded to take up the clean energy. (There seems to be a constant stream of sellers of government information from the USA to the publishers and other interested parties from the United States.) They expected last year 2013 to see a “watery” Arctic, the ocean has not yet opened but its ice is highly pulverised as the thinned sea ice is now incapable to survive the constant ponding of the ocean’s waves, winds and currents that have been occurring during the frequent Arctic storms. James Cole. Here in North Eastern Minnesota along the shores of Lake Superior, about 80 miles south of Ontario border. Last Summer a 24 hour rain system plowed through the area and North Western Wisconsin. A google search would pull it up. It was a record smashing rain event. I followed in on the National Service radar over the 24hours. A long band of thunder storms just kept coming in a diagonal stretch. 10 inches plus was common, but areas smashed that with the top being over 20 inches. Ah. A train echoing system. Will take a look. That’s an immense amount of rain for Minnesota. Gentlepersons, we are observing our extermination. To illustrate the immensity of this flood of 1 million square kilometers on the heels of devastating wildfires. A area has been flooded that is more than the area of Texas X TWO. The scale of events in Russia is just stunning. Interesting article Robert, nice work! The increase in intensity and the number of these heavy rainfall events is unreal. How concerned are you that this isn’t some short nasty trend, but something that is going to continue getting worse at a rapid clip? A few weeks ago you mentioned this as something that we would definitely see in the future. Care to put any odds on the likelihood of a major non tropical storm shutting down a big city for 2 weeks? What odds would you have given that same scenario 5 years ago? The pace of these events is pretty unreal. I think we’re at or near the threshold where a major non tropical system has the capacity to shut down most city operations for 3-14 days. This fall should be interesting. The swing back toward a wounded winter will be vicious. This was the event back in April that caught my attention. http://www.huffingtonpost.com/2013/04/03/argentina-flooding-floods-2013_n_3009972.html That area is prone to heavy rains, but not 16 inches in a couple of hours. Then Philadelphia shattered the daily record by more than 2 inches that had been set previously in a tropical storm . Toronto got hit with 5 inches maybe 2 months ago in a very brief short period of time. Wait till one of these events partners up with a retrograde jet stream. Just a matter of time. Pro: Did you read the comments from that article about the temps in northern Canada? People are swimming, snorkeling, and water skiing with temperatures about 30 degrees F above normal and the AGW fools are still trying to convince people it’s getting colder! That’s hilarious! I can understand people hesitant to accept AGW if they choose not to look into the facts for whatever reason. But I don’t understand how people can be strongly entrenched against it anymore. With everything going on, can someone honestly believe that it’s all a government ploy for more regulations and taxes? It’s not good. Either someone is greedy and feels they have too much to lose if the status quo changes or they have a blinding hatred for government. It’s the disease of hyper individualist ideology. And, like any other absolutism, it’s bound for a terrible fall that takes many innocents down along with it. Nope, did not read the comments but watched the video and noticed something. There are like 3 or 4 people interviewed and all second how great weather is and yields so much outdoor activities. Though that is fine but when you inform people about an unprecedented event like this you need to include the broader impact’s, which require an expert opinion – which is missing from that video. “Colossal damage will be caused to the agricultural sector there. I will not give you any estimates at the moment, but it is clear that the extent of damage will be significant as 1.5 million hectares of farmland have been submerged by flood waters in the region,” the minister said. The floods are not expected to subside any time soon; the Russian Met Office forecasts more heavy rain and strong winds in large swathes of Khabarovsk Territory on 16 August. With the exception of this article, I’m amazed to see how little coverage this incredible story is getting, Robert. $3 billion in damage as of 4 days ago. Have to love the quote from Putin: everything’s under control. Bob writes about Russia’s food supply in the comment above. A ‘bad weather’ event in Thailand, India, or some other large rice producer could have very serious impacts on China’s food supply in the coming months. Thanks again for another outstanding piece. reposting the crap out of this one, and also doing research on the area….WOW doesn’t even begin to cover this amazing region!!!!!! one of the strangest places on earth!!!! Drought, heat, heavy rain and floods in China’s major rice-growing regions are likely to cut the country’s harvest and increase reliance on imports, industry experts have forecast. An ongoing drought has harmed rice crops in Central and East China’s major rice-growing regions such as Hunan and Jiangxi provinces. Meanwhile, heavy rain and floods have hit Heilongjiang province in Northeast China. In addition, a heat wave has scorched 13 provincial-level areas and left about 6 million people and 1.72 million head of livestock short of drinking water, the Ministry of Civil Affairs said. According to the State Flood Control and Drought Relief Headquarters, more than 1.87 million hectares of farmland have been affected by the drought in Hunan, Hubei and Jiangxi provinces. About 70 percent of the land involved is planted with rice. Rain of medium to heavy intensity has continued battering Heilongjiang province, where it has flooded 5,300 ha of rice farmland. The Late Bronze Age world of the Eastern Mediterranean, a rich linkage of Aegean, Egyptian, Syro-Palestinian, and Hittite civilizations, collapsed famously 3200 years ago and has remained one of the mysteries of the ancient world since the event’s retrieval began in the late 19th century AD/CE. Iconic Egyptian bas-reliefs and graphic hieroglyphic and cuneiform texts portray the proximate cause of the collapse as the invasions of the “Peoples-of-the-Sea” at the Nile Delta, the Turkish coast, and down into the heartlands of Syria and Palestine where armies clashed, famine-ravaged cities abandoned, and countrysides depopulated. Here we report palaeoclimate data from Cyprus for the Late Bronze Age crisis, alongside a radiocarbon-based chronology integrating both archaeological and palaeoclimate proxies, which reveal the effects of abrupt climate change-driven famine and causal linkage with the Sea People invasions in Cyprus and Syria. The statistical analysis of proximate and ultimate features of the sequential collapse reveals the relationships of climate-driven famine, sea-borne-invasion, region-wide warfare, and politico-economic collapse, in whose wake new societies and new ideologies were created. “Just why these changes occurred remains a matter of debate. Some scientists suggest they may have been caused by a period of increased solar activity, which shifted the jet stream in the North Atlantic and led to drought by cooling the oceans and decreasing rainfall. A similar climate event is believed to have happened in medieval times. “The jury is still out on that one,” said Lee Drake, an adjunct professor at the University of New Mexico whose own research has shown a drop in sea surface temperatures in the Mediterranean coincided with the Greek Dark Ages in the same period. “If sea surface temperatures drop, then less water evaporates and less water precipitates over land. This period of cooler temperatures seems to be consistent with the Greek Dark Ages of about 400 years,” he told AFP. This paper is really a very big deal , given that in our world , just before Syria collapsed , and drought there drove 1.5 million people out of the countryside, and into the cities. The authors use a site in Syria, that was well studied , and carbon dated as a proxy for their work on Cyprus. Grazi again to Robert Scribbler – a literary fellow, who writes the very best science. It is NOT Robert’s fault that the information is the ultimate bummer. This stuff depresses the hell out of me sometimes. I feel an obligation to report as directly as possible on what I see as an ongoing and growing crisis. I hope we respond and respond well. But as Bob’s recently linked paper suggests, civilizations tend to have a lot of trouble with climate change. I’ve been a bit under the weather (climate;) today. So your post is very cheering. Meteorologists were stumped by Tropical Storm Erin in 2007. Unlike most tropical cyclones, which dissipate after making landfall and being weakened by everything from friction and wind shear to loss of the ocean as a source of heat energy, Erin intensified as it tracked through Texas. Erin’s eye formed over Oklahoma, and grew stronger than it had been over the ocean as it spun over the southern plains. According to NASA-funded research by Theresa Andersen and J. Marshall Shepherd of the University of Georgia in Athens, Erin is representative of a newly defined type of inland tropical cyclone that maintains or increases strength after landfall. If this paper is correct, and it probably is . Any cyclone moving into the Southern or the Eastern US this season will maintain it’s power after landfall. And that’s a new ball of wax entirely. The paper says Australia is the number one example of this , thinking back, Cyclone Yatis is a prime example of this , it had been raining like hell in Queensland long before Cyclone Yatis made land fall as a Cat 5 Cyclone , and she moved deep into the center of Australian before dying out. This is a new feedback we never dreamed of , Western North Carolina is now 2 feet above average . If hurricane crosses them we can test the theory. Storm forming in gulf now. Appears to have linkage with deep trough. Huge rain systems over southeast now. But yeah, the southeast is a sitting duck right now. great article, sharing….however…it would be super dandy if you had publish dates on your articles, my friend. I was just about to post that picture , absolutely stunning . Flood-inducing rainfall in Australia in 2010 was so severe that it lowered worldwide sea levels. Scientists have been puzzled by satellite data that shows sea levels fell in 2011. A paper published this month in the journal Geophysical Research Letters attributes a lot of the surprising sea-level decline to antipodean deluges — record-breaking rainfall that was linked to climate change. Amping up the hydrological cycle pulls a lot of water out of the ocean, transferring it to the atmosphere. This overburden eventually comes down as rain, which can end up back in the ocean. My view is that ocean heat dome is blasting the nearby atmosphere with moisture. You can see the cloud and rain pulses rising up into eastern Russia in rapid succession. “Reuters) – As many as 100,000 people may be evacuated from their homes near Russia’s border with China if the region’s biggest floods for 120 years get worse, Russian media reported on Saturday. More than 300 millimeters (11.8 inches) of rain fell on the Amur, Khabarovsk and Primorye regions from July 1 through Aug. 12, causing floods there and in the neighboring Jewish Autonomous Region, according to data from the weather center. Some areas in the Far East received a year’s rain in the period, the center said yesterday. I have to wonder how much of the flood waters and associated thermal energy will [eventually] inundate the ESAS and AO or benignly(?) reach the Pacific coast. Does anyone know where such quantitative analysis might be found? The wiki-entry for Yakutia has a nice list (and links) of the major rivers but without an “overlay” of the flooded region I’m stumped regarding any determination. Nonetheless, I would presume that even 20-30% of the flood waters reaching ESAS/AO would have significant ramifications for the remainder of the ASI melt-season. The most heavily flooded rivers flow into the Pacific Ocean. However, Lake Baikal, which is on the far western border of the heavily flooded region feeds into the Yenisei River which flows North and into the Arctic Ocean. Should the bands of heavy rainfall shift a hundred miles or so to the North, the Lena river, which flows directly into the ESAS would receive some of what appears to be a new monsoonal flow setting up between 50 and 55 North. Some of the south facing slopes feeding into the Lena and other ESAS terminating rivers may also have received significant rainfalls. That said, there are no reports of major flooding along these rivers, so, for now, it appears that most of the flood pulse is Pacific bound. Thank you for the situational overview, as well as the primary article. It is indeed “unfortunate” that this disaster is not receiving more widespread distribution. Alas, even if it were, I doubt it would have much impact on the manipulated, compartmentalized “believing” that is so prevalent in the population of the OECD countries, especially in the “exceptional” (read ignorant and irrational) USA. Of course, that is also the reason few realize that the drought in the American southwest, west and grain-belt (in addition to all the principally arable lands around the globe) has actually been in existence for more than a decade and getting progressively worse in response to the accelerating decimation of the Arctic ice, just as predicted. Driest 14 year period on record. Without a big break this winter or sometime next year, many communities are going to be hit with some pretty terrible water rationing. Thank you for this article, Robert. An amazing news story that the supine hacks of the MSM have largely ignored. I only stumbled on it because of a link Colorado Bob posted on climateprogress. As I read this, this storm is being fed from FOUR? oceans! I assume the European stream is from the Atlantic and the monsoonal flow is from the Indian Ocean. Is this correct? The contrast between the area burning and then being flooded is one of the biggest lurches between extremes that I can recall. I’ve spent my last two summers in northern Colorado, and I’ve seen fires last year-the Sheriff gave us an hour to pack and leave because of the High Park fire-and this year has been the wettest for about 15 years. But that’s child’s play compared to this storm. I guess I’ll have to throw the Book of Genesis at Messers Clausius and Clapyron, or maybe the whole Pentateuch. How dare they be correct! Been trying to see the flood on the MODIS today, & the clouds are still too thick. It has occurred to me the ash from the fires may be seeding the rain. Think about it , the Russian heat wave of 2010 , and Great Indus Valley floods . A super cooled water vapor molecule needs something to stick, to before an ice crystal can form . I think there’s merit to that theory. It certainly may be adding force to the storms by providing more in the way of condensation nuclei. I watched the weather channel today , one of the 30 min. episodes was on rain . Bacteria can from rain drops. I knew this , but the bingo light went off in my head. If a dense river of water vapor is moving, it needs a trigger to set it off. Nothing like 6 weeks of soot from the tundra as a trigger to the shot . And the Russian’s say the rain event began July 1st , what else was getting started then ? Remember the water vapor doesn’t have to rise, it just needs a trigger. These big fires, and big rains are part of the alpha and omega of the Earth. The next test of this theory , Canada, or Alaska will burn , and it will rain like hell over Greenland. It may take a few years, but I see that cross town bus coming right at us. And like Pakistan in 2010 the rain will be very warm . Falling on high cold ice. By the way , in Pakistan in 2010 , it rained 16 feet in 60 hours. That event had 2 triggers. Outstanding observation, CB! 😉 Do you think such an event might finally instill cognizance of “non-linear response” in the unenlightened multitude? There were pyrocumulus clouds over parts of Larimer County during the High Park fire. It seems likely that Yakutia would also have them. Certainly, the smoke particles would form condensation nuclei. The other thing that interests me as an avid reader of Neven’s blog is: will some of that vast amount of released latent heat end up in the Arctic melting more ice in the East Siberian and Laptev Seas, or even the Central Arctic basin? Larimer County……. I was on the Big Thompson River at Estes Park July 31, 1976 . Where the Twisted Pine Fur Shop is today. The wall of water coming through the narrows West of Loveland was 40 feet high , an ambulance crew in an International Harvester Travel All from Loveland , was picked off the rock walls the next morning . They drove right into the flood , and surfed the current until they got stock in a curve of the narrows . They were 40 feet above the old river level, and they both lived to tell the tale. The CAB has been quite cool this summer. A result perhaps, in part, of increasing Greenland melt volumes. But we have had amazing heat up to 70-75 N. And water is usually the delivery mechanism, airborne or otherwise. Should be both interesting and unstable. If it happens, expect a storm. It was giant boulders, and logs 40 feet high , how those 2 men lived I’ll never know.. But they did . They were the first 2 people saved on Aug, 1st, as the sun came up , I hope they still live today. 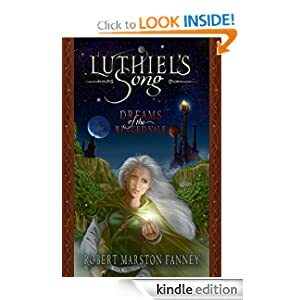 , Their story records the flood at 40 feet above the river, coming down the valley. New monsoonal flow. Absolutely unprecedented. According to an assessment from the Department of Science and Technology, rainfall reached 600 mm (23.62 inches) in and around Manila Bay on Sunday alone — more than a month’s worth of rain in a day. That’s compared to the disastrous 2009 Typhoon Ketsana, the strongest cyclone to hit Manila in modern history with 455 mm of rain in 24 hours. 2 inches every hour. That’s an amazingly difficult to manage rainfall rate, no matter how well-designed your infrastructure. Let’s hope we don’t see any damn or levee collapses as a result. Using indicator molecules, a team of researchers headed by ETH Zurich demonstrates that carbon stored in the Arctic permafrost is being mobilised in Eurasian river basins.